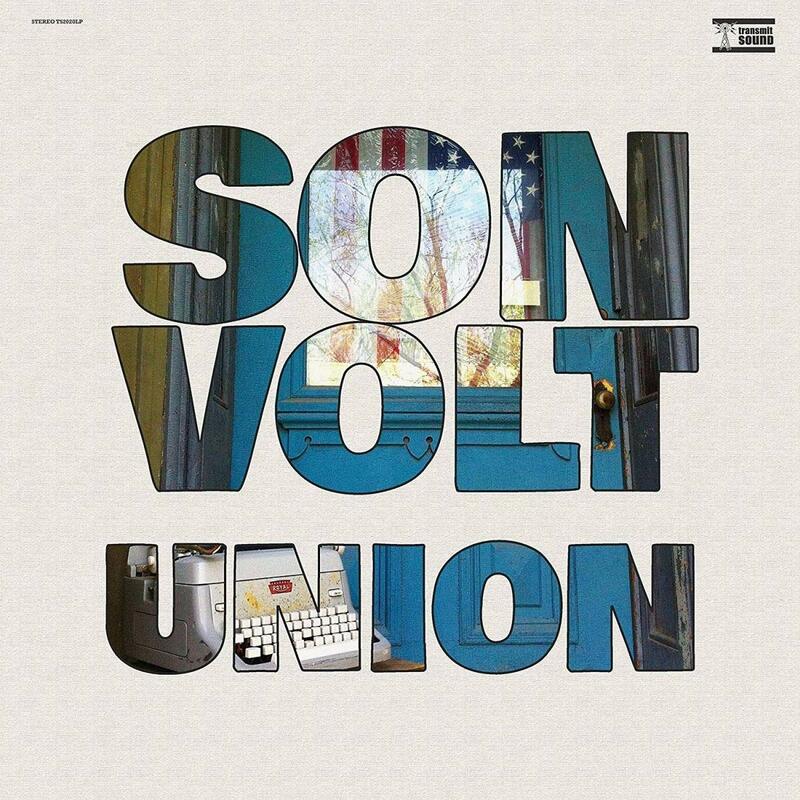 Fire Note Says: Jay Farrar’s Son Volt gives a nod once again to the protest folk music of Woody Guthrie with songs that chronicle the divisions and injustices of our own era. On Union, Farrar offers up some of the most straight-forward political songs of his long and celebrated career, perhaps closest in tone and feel to Son Volt’s 2005 release, Okemah and the Melody of Riot, an album that drew its title from the hometown of Woody Guthrie and it’s lyrical inspiration from his protest folk anthems of liberation. To help embody that spirit this time around, Farrar and his engineer Jacob Detering recorded the initial tracks for 8 of the album’s 13 songs in two significant locations where they could soak up inspiration: The Woody Guthrie Center in Tulsa, OK, and labor activist “Mother” Jones’ Museum in Mt. Olive, IL. While that folk music/protest song mojo no doubt felt inspiring to Farrar, it may explain some of the rather tepid musical settings throughout the album. So, while Farrar is in folk singer mode, focused by his acoustic and baritone guitar throughout, and on the brief solo instrumental “Truth to Power Blues,” he is joined by two who’ve been along on recent albums and tours: Andrew DuPlantis on bass and backing vocals and Mark Spencer on keyboards, lap steel, and bgvs. Returning form the “Okemah” days, Chris Frame, who rejoined the group on the Notes of Blue tour in 2017, is back again on electric guitar, and they are joined by Mark Patterson on drums. That tour of course, like the album leaned toward Farrar’s blues influences, much as the previous album and tour, embraced “Honky Tonk.” Here, Farrar & company seek to work strong instrumentals into the folk rock format, and Frame and the others manage to breathe some musical energy in early songs, “The 99,” “Devil May Care,” and “Broadsides,” but given the mid-tempo focus throughout, seldom do the guitars catch fire with the vitality heard on early albums, like Wide Swing Tremolo. But the heart of Union is best heard in the title track, where Farrar describes the divisions that dominate our life as a nation in, whether they be partisan politics or economic challenges and class, or geography. Drawing on a piece of wisdom often shared by his father, Farrar sees the remedy to our country’s polarization, that “national service will keep the Union together.” “Reality Winner” describes the life of the whistle blower imprisoned for sharing classified information about the Russian attempt to impact the 2016 Presidential election, which was won by the reality TV star. Meanwhile, the news media is caught up in daily scandals and distractions, so it feels like “(We fiddle) While Rome Burns,” the wealthy elite that make up the 1% profit while “The 99” are left to struggle, and “Lady Liberty” has to hide her eyes as this land of immigrants acts out of prejudice and fear in rejecting those who struggle to seek asylum on our shores. To balance all the negative that assault our senses daily, Farrar takes hope in the promise found in his children, who he advices in “The Reason,” to “put your shoulder to the wheel, give your best and take flight, use your smile as your shield… cast your bread upon the waters, keep the love that’s in your heart, use the knowledge that you gain, keep your soul as right as rain,” in a song that recalls the jangly 12-string guitars of Roger McGuinn in The Byrds. Similarly, “Holding Your Own” celebrates his kids as they start to leave the nest, and his advice is to “be true to the beliefs that guide you.” “Devil May Care” finds solace in the “wall of sound” that Farrar experiences when playing music with his friends, where he’s busy “keeping time, keeping sane.” In that spirit, there’s plenty of warm, comforting sounds here on Union, but the rockers among us with long memories, like me, are likely missing the punky, Replacements-influenced rock energy that was integral to Farrar back in the Uncle Tupelo days. The album closes with another tip of the hat to Guthrie in “The Symbol,” which Farrar found inspiration from a 1948 poem popularly known as “The Deportee” as he retells the story of a Mexican laborer who’s children are born in America but he’s an illegal who’s lived here 10 years and now fears deportation. This is a particular challenging time in our country, for folk like Farrar who remember the values that appear to be dissolving right before our eyes in acts of injustice, indifference and outright cruelty that starts at the very top of our political system. In every generation, folk singers compose songs to tell the story of the lives that surround them, chronicle the suffering, and protest the injustices. Here, Farrar’s Son Volt steps up to find his place in that role.